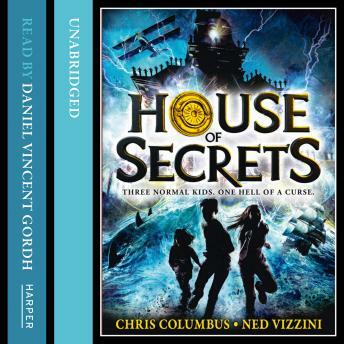 HOUSE OF SECRETS is the first book in a major new series. Three siblings and their family are forced to move to a mysterious new house in San Francisco and end up embarking on a journey of a lifetime to retrieve a dark book of untold power. The Walker kids had it all: loving parents, a big house in San Francisco, all the latest video games . . . But everything changed when their father lost his job. Now the family is moving into Kristoff House, a mysterious place built nearly a century earlier by a troubled fantasy writer. Suddenly the siblings find themselves launched on an epic journey, to retrieve a dark book of untold power and uncover the Walker family's secret history. Oh and save their parents . . . and maybe even the world.